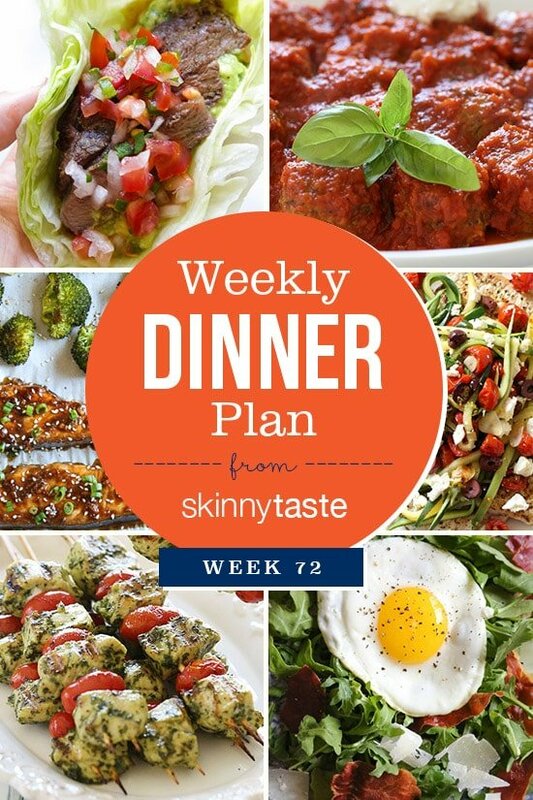 Skinnytaste Dinner Plan Week 72. Wow, it’s hard to believe I’ve been sharing these meal plans for 72 weeks! If you’re new here, meal planning is a great way to get organized before heading to the supermarket to get ready for the week. Just made the pork chops and veggies. Only wish I had more veggies. It is a keeper though. Zucchini meatballs are in the oven for tomorrow nights dinner. Thanks for the weekly planner…it’s my go to!!! !